The timing for the release of a feature film telling the story of Loving vs. Virginia, the groundbreaking case that legalized interracial marriage, couldn’t be better. Virginia, which Hillary Clinton won during the presidential election, has had a long and checkered racial history. The first laws against interracial marriage began in Virginia, they expanded in Virginia, and then were abolished here. 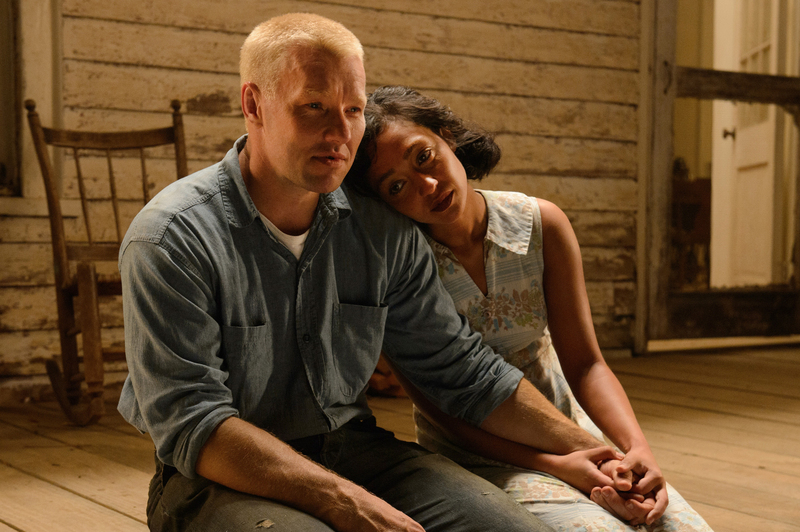 LOVING, starring Ruth Negga and Joel Edgerton as real-life couple Mildred and Richard Loving, reveals their struggle to live together in a place where they were forbidden to raise a family or sleep under the same roof, in the state they were both born and raised. Their case went all the way to the Supreme Court, making interracial marriage legal in the United States. The first laws banning interracial marriage were enacted in the colony of Virginia in 1691. The Racial Integrity Act of 1924, known as the “One-Drop” Rule, was passed that year by the Virginia General Assembly, and required that a racial description be recorded at all births, dividing all residents into either a white or colored classification. It also expanded the anti-miscegenation laws banning interracial marriage, further criminalizing any marriage between a white and non-white person. It was great symmetry, then, that the landmark civil rights decision abolishing the laws prohibiting interracial marriage, occurred in Virginia with Loving versus Virginia in 1967. Writer/director Jeff Nichols’ film is like the cinematic equivalent of sitting, midsummer, outside on the porch of a farmhouse, just sipping tea and listening to crickets. It has, at once, an organic feel, and a great sweeping visual quality one finds in nature. It’s amazing such a small movie can be so lovely to look at, and, as such, begs to be seen on the big screen. Some will find it transcendent and a balm to the soul, some will be bored. There is an intimacy in the portrayal of the Lovings, and an authenticity that carries through the film, that makes their story, as slowly as it unfolds, truly moving. All the forward action that leads to history, happens in between the experience of watching the couple in their own little world of struggle and simplicity. However, those who choose to connect with them, and their authentic commitment to each other, will find their saga compelling and meaningful. As simple as their lives were, they made choices that changed the world, and they did it out of love for each other, themselves, and their family. Those who saw the 2011 HBO documentary The Loving Story will be struck by how well the actors represent and look like their real-life counterparts, especially Nick Kroll and Jon Bass as ACLU attorneys Bernie Cohen and Phil Hirschkop. Joel Edgerton, who often plays over-the-top characters, captures the restrained, laconic nature of Richard Loving’s persona perfectly. Ruth Negga channels Mildred’s poised, candid yet shy demeanor, as well as her determination and grace in the face of a seemingly insurmountable challenge. Only recently, Virginia’s historic Ashburn Colored School, which had been teaching black children from 1892 through the height of segregation, was defaced and vandalized with anti-semitic and racist messages. Many who voted for Hillary Clinton, especially those of color, will tell you that one of the reason they did so was the tie Trump has with the alt-right and white supremacists in this country. Post-election, there have been many reports of racial friction bourn of epithets thrown by self-declared Trump supporters. LOVING is a reminder that while a political divide may be widening, and bigotry may be on the rise, there is always a way toward tolerance and acceptance. Those who want the country to come together and work for equality can find inspiration in these courageous people, who stood up for their own rights and by extension the rights of others.